WASHINGTON — While 911 calls have surged this summer, the District’s available ambulance fleet has consistently lagged below stated goals. In March, Mayor Muriel Bowser announced the ambulance fleet would swell to 49 during peak hours, 10 more than usual. City officials say that goal was met in the spring. But the fleet has continually fallen short over the summer. “It is very hard to get to 49 now on a regular basis,” says Kevin Donahue, deputy city administrator. “Quite frankly, we are running the ambulances so hard that the numbers that have to go in for repair have crept up,” he says. Calls over the summer months have hit all-time highs. In the past week, two calls thrust the oft-criticized department into the spotlight again. In one, no ambulance was available within 7 miles of a dying baby in Southeast. The call center requested help from Prince George’s County, but no units were available there, either. The 5-month old, named Trequan, later died. Though an ambulance was not immediately available, paramedics were on the scene. Days later, a 1-month old in cardiac arrest was taken to the hospital in a fire truck after first responders determined the nearest ambulance would delay transport. 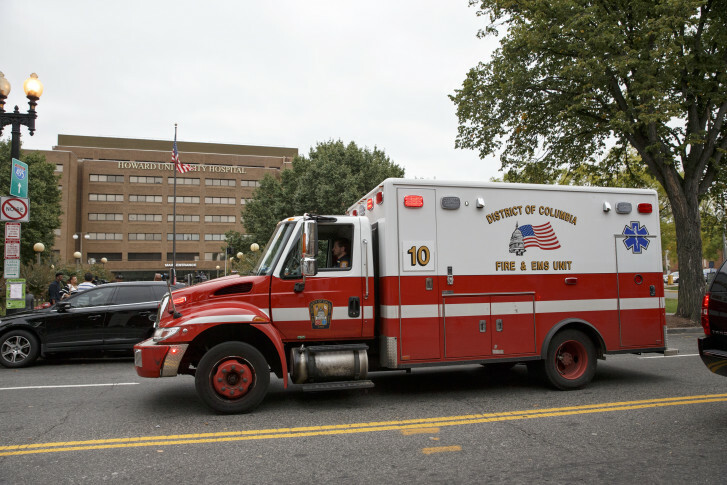 In both cases, D.C. Fire and EMS said 39 ambulances were in service. “The numbers that we have can service almost every case,” Donahue says. He says that involves working on drop times at hospitals and dynamic redeployment of ambulances once they leave hospitals. The next influx of ambulance is expected to begin coming online in November. Over the next fiscal year, the District is anticipating 14 new ambulances and 16 ambulances that have been completely refurbished.